What Is the Cost of Developing a Taxi Solution App? 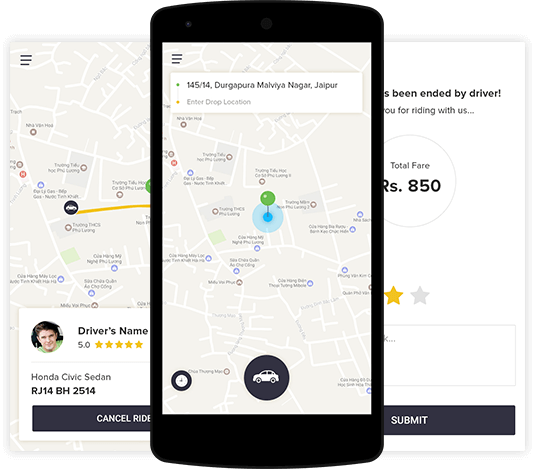 Want to know the cost of developing a Taxi App like Ola and Uber? The best taxi app development company has come to your rescue. You’ve indeed made a right decision of reading this write-up. With the ever-increasing market size of a taxi-hailing industry, businesses can safely bet on building an online cab booking system. Our customers from different walks of life hold queries like- ‘What is the cost of developing a taxi app like Uber? What should be the core features included in a driver’s and passenger’s app? 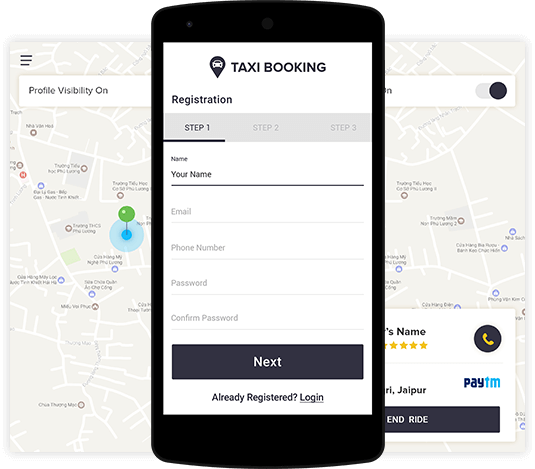 Considering the growing demand for taxi mobile app development, we’ve come up with this blog which will help you start the entire process with ease. First things first, keep in mind that you have to create two distinct formats for the app one for passengers and another for drivers. Moreover, a web-based admin dashboard will also be needed. In taxi booking app development, here are some of the important features that you must be aware of. To start with, every user or passenger is entitled to register from their mobile app via the login page which requires phone number, email ID, and social networking profile. Once the registration is complete, the passenger can book a cab by setting up a pickup location. It instantly shows the available drivers, options for vehicles, estimated fair, and so on. The user will be required to select the preferred vehicle and request for a ride. In addition, your taxi booking app can have ‘Ride Now’ and ‘Ride Later’ option, enabling the passengers to schedule their trip as per their convenience. How much should the passenger pay for the trip? With the help of this feature, a user can calculate the cost of the ride on the basis of the distance between the pickup point and drop location. Under this section, the passenger will be able to make the payment with ease and faster without being concerned about privacy infringement and cyber theft. It is all about setting up a secure payment method so that when a trip ends, a passenger can process the payment in accordance with his preferred payment option safely. This feature will allow the customers to leave reviews or feedback about the driver and services. It is an important section which boosts the morale of drivers and prevents them from showing any unprofessional behaviour during the trip. On the other hand, it uplifts the satisfaction level of the passengers. None of the customers would ever want to miss out on an important information while the app is opened or running in the background. While booking the cab, travellers want to seek confirmation messages and info about the driver in order to call and enquire about his current location. With the help of this feature, the user can take a trip down memory lane by viewing all the locations he has visited till now. It not only helps the customers have a look at their previous ride history but also enables them to re-book the same trip in a few clicks. 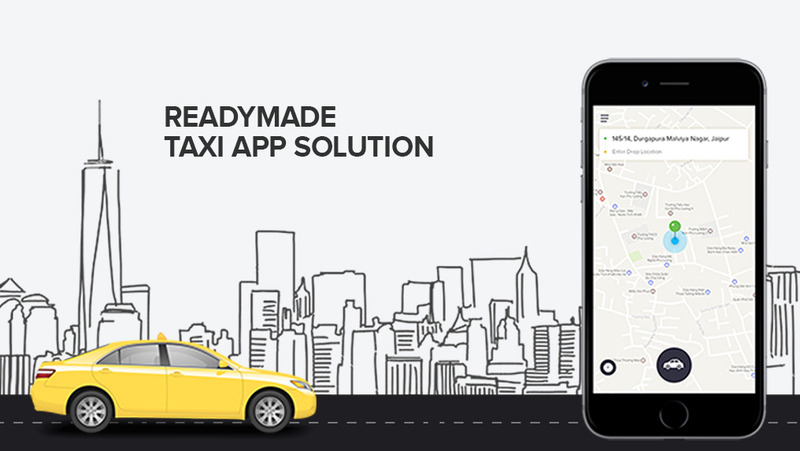 Give riders a convenient solution to track the exact location of the booked cab. This live routing will keep the travellers updated on live status of the cab before it arrives at the pickup point. This feature is specially created to display the driver details to authenticate their profile info. It will summarise the driver’s detailed verification proofs like cab number, license, and other identity proofs. It also makes the driver visible in the passenger’s app and notifies the rider about the driver’s availability. When someone books the cab, drivers will get the alert so that they can set their availability. With the support of this section, chauffeurs get the notifications regarding the cancellation of orders, info about new booking and route. It allows the driver to know how much the passenger will pay at the end of the trip and ensures the exact count of the trips along with relevant deductions and discounts. With the help of this feature, the driver can choose the shortest and best route to reach the pickup point and destination in less time. In a taxi booking app, navigation is a must as it acts like a compass needed to travel to unknown and distant places. It helps the drivers to take a detailed insight into the total number of trips done in a day or month along with all the invoices generated so far. It shows the complete statistic of the places the driver has visited and total earnings acquired per day. To free the drivers and passengers from typing for the orders, this feature can be added in both the panels. This will help them control the app or book a ride through voice inputs while performing other tasks with ease. A web-based tool, Admin dashboard enables administrators to manage the accounts and activities of drivers and passengers. The features, settings, tools you need in the admin panel highly depend on your specific needs. This dashboard gives descriptive information about the trip reports, takes care of the financial issues, and delivers the logistic of drivers. While planning for a cab booking app development, keep in mind that your admin panel is a backbone that stores the database and collects the important info about revenues and helps in operating a business seamlessly. It also monitors the marketing activities and helps in keeping track of daily activities. It is one of the most important elements in the taxi app development process. The best part is that the administrator can be linked to Google Analytics to know how many people have downloaded the taxi app for their personal use. Pickup Location: A passenger can point his exact pickup location without typing the complete address. This can be made possible with help of the inbuilt GPS module. Live Location Sharing: The rider can share his real-time location with any of his friends, family, and co-workers. This feature makes it easy for the close ones to know where exactly the passenger is. Inbuilt Messenger: Having a messenger in the App will help the passengers and drivers to communicate with each other easily. Choose Your Favourite Driver: This feature will allow the rider to select a particular driver with whom he/she feels comfortable and safe for future trips. Split Payments: If two or more riders going to the same route are sharing the same cab, they get an option of making separate payments and spilling the bill in just a few clicks. Discount: Who dislikes this word? No one! This additional facility can be given to passengers so that they can accumulate discounts on trips by using a digital coupon or code. Gamification: It can be used for increased customer engagement by giving away exciting deals, special offers, badges, leadership boards, and loyalty rewards to the passengers. Free Inquiry Calls: With this feature, the moment a rider books a cab, he/she will be able to make calls to the driver for FREE. Payment gateway providers like PayPal’s Mobile SDK, Braintree and Stripe help to set a payment system that is free from cyber thefts, stealing of credit and debit card information, and privacy infringements. For safe and convenient payments, Braintree makes the use of PayPal as it offers splitting bills feature. If you want a taxi booking app solution like Uber, then Android Pay and Apple Pay can be the best payment options with the help of which the user can pay the amount to the driver with his digital wallet, credit and debit cards while keeping his financial information secure. 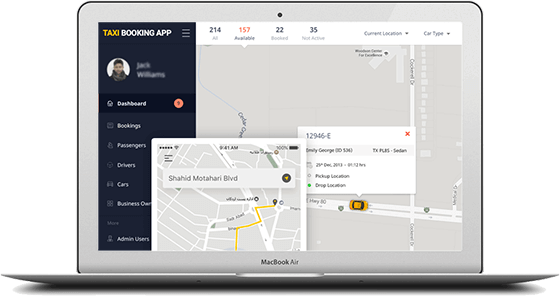 In the process of developing a taxi booking app, make sure you create an effective, intuitive and simple UI which can smoothly interpret the data and deliver the important info without any complexity. It should be designed in such a way that after using your app for once, the user feels like coming back to it over and over again. Speed is also a key factor while designing UX/UI which the developer must keep in mind. The app’s design and graphics ensure the user interacts with the app effortlessly. A smooth flow of communication is required between passengers and drivers so that the riders get the info regarding the pickup point, drop off location, expected arrival time, and nearby landmarks instantly. Besides the push notifications, you can also opt for SMS integration so that the customer gets the driver’s details, including name, contact number, and taxi number in the form of a message. To monitor the location, Core Location framework is used. With the help of this app, riders can use Bluetooth beacon and Wi-Fi to increase the location tracking from GPS. Using the MapKit framework, shortest routes, and directions can easily be identified. This app uses API to identify the location of the user and collects the info regarding routes, directions and navigations. A rider can use OpenStreetMap API for both Android and iOS. The exact cost of developing a taxi app like Uber is calculated after considering a lot of key features and factors. At an early stage of development, one might find it a tough row to hoe to calculate the price. However, one can estimate the cost by analyzing the scope of work and required time needed to complete each task. As every feature of the app is distinctive in nature, the time taken to make it done and dusted will vary too. It’s a bit challenging to predict how much it may cost to build an app like Uber. However, it has been witnessed that taxi app developers in India do not strain the wallet and are comparatively inexpensive than the ones working in the UK, US, and Australia who charge around $90,000 to $1,30,000. In India, taxi aggregation app services are pocket-friendly. The cost of a cab booking app in India is around $15k- $30k which includes building a passenger and driver app along with the admin dashboard. Want Professionals to Create a Taxi App Like Uber? Get your mitts on a trusted taxi app development company which can create an on-demand taxi booking solution with ease. Are you looking for an astute team of professionals to create a valuable product? If yes, then we would happily assist you. Just drop us an email at Info@vervelogic.com and we’ll work for you with all our might!